Company Overview - Shenzhen Relight Technology Co., Ltd.
1YRSShenzhen Relight Technology Co., Ltd.
Relight Technology Co., Ltd. locates in Shenzhen, Guancheng Low Carbon Industrial Park, which specializes in the development, production and sales in LED modules and other LED lighting products.Relight Technology is a diversified lighting products supplier and comprehensive solution provider focusing on trendy design and technical support. 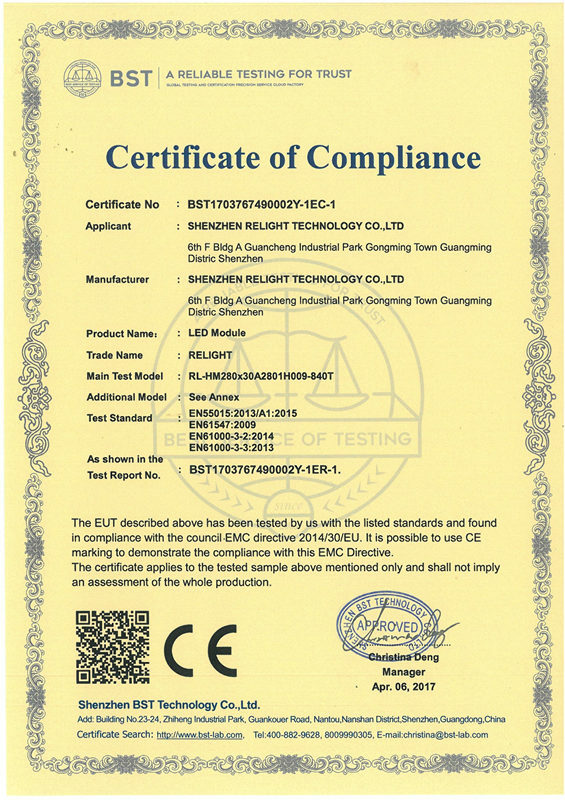 OEM and ODM customized products and solution design is competitive in the current market. 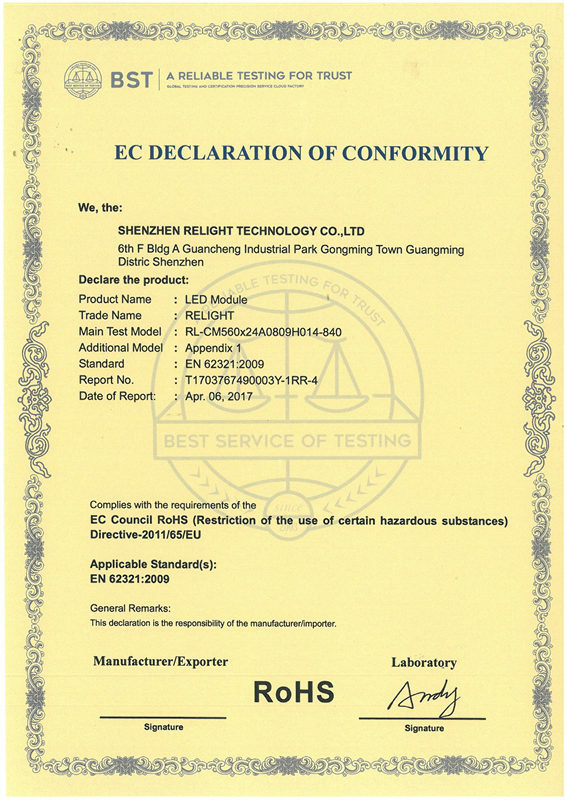 All our effort is to help customers speed time to market with a stylish design, then obtain more market shares.Relight established in 2012 and accumulated lots of loyal customers in Australia, Europe, Russia and the USA. 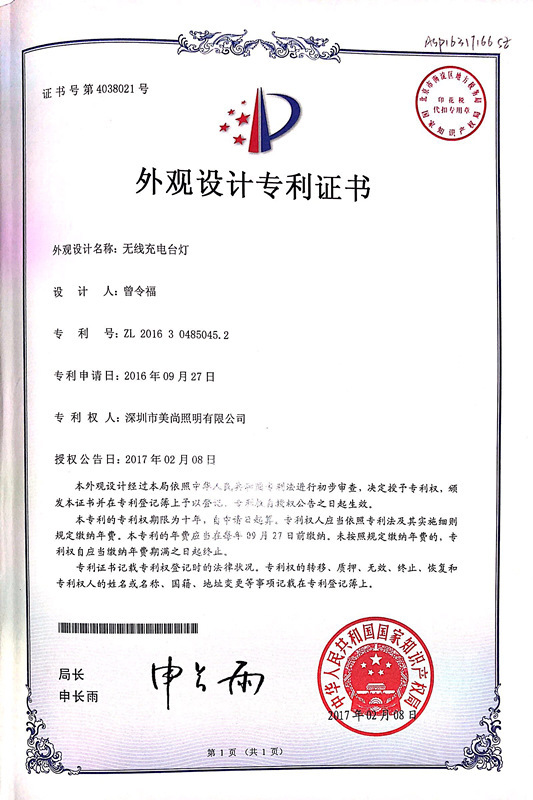 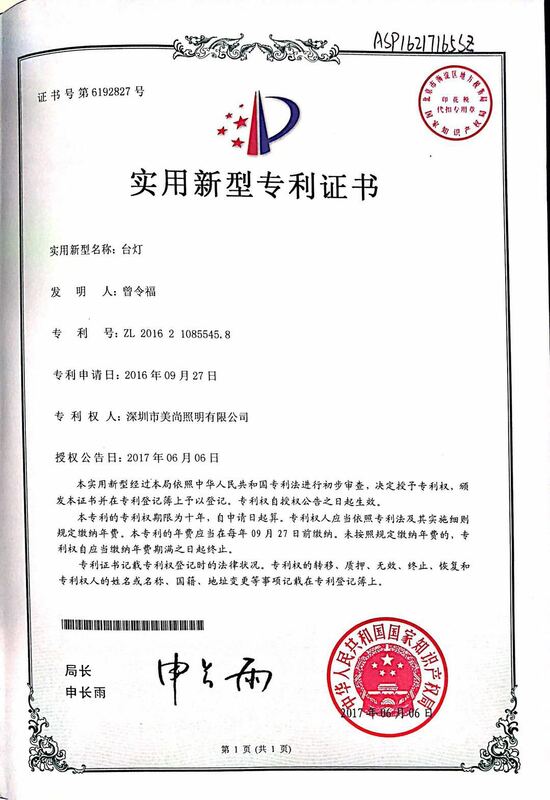 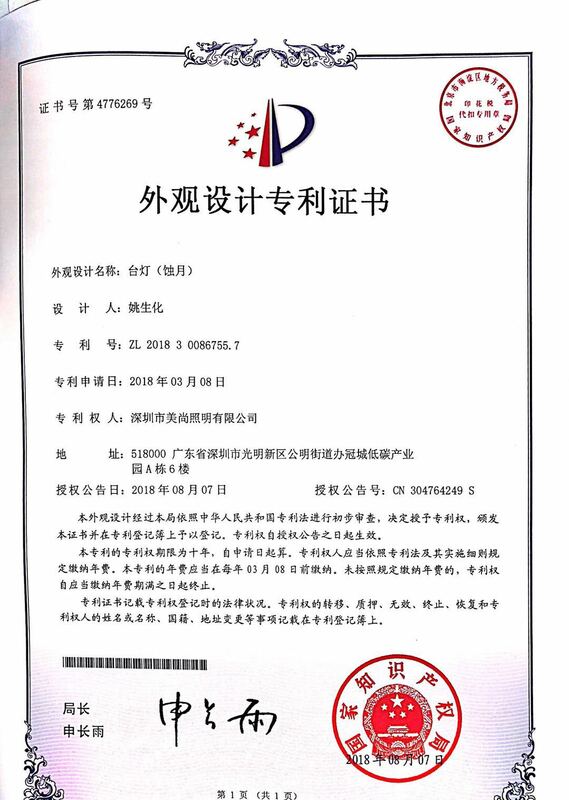 Our factory has completed production line in 3400 M2, plant with ISO9001 and WCA certificate. Relight are well equipped with dust free anti-static rooms, state of the art fully-automated production lines and high performance testing equipment. 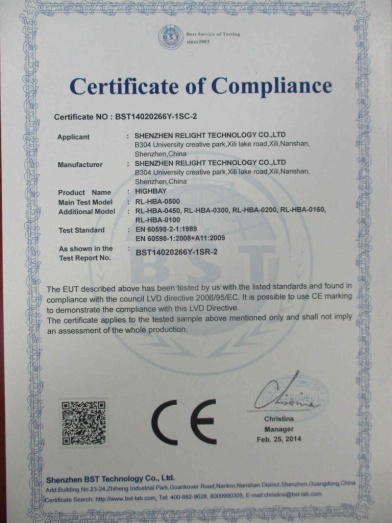 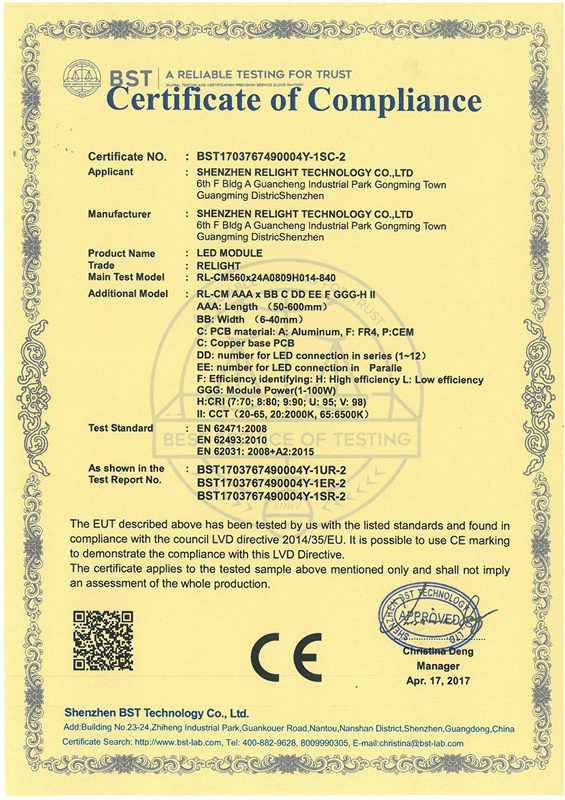 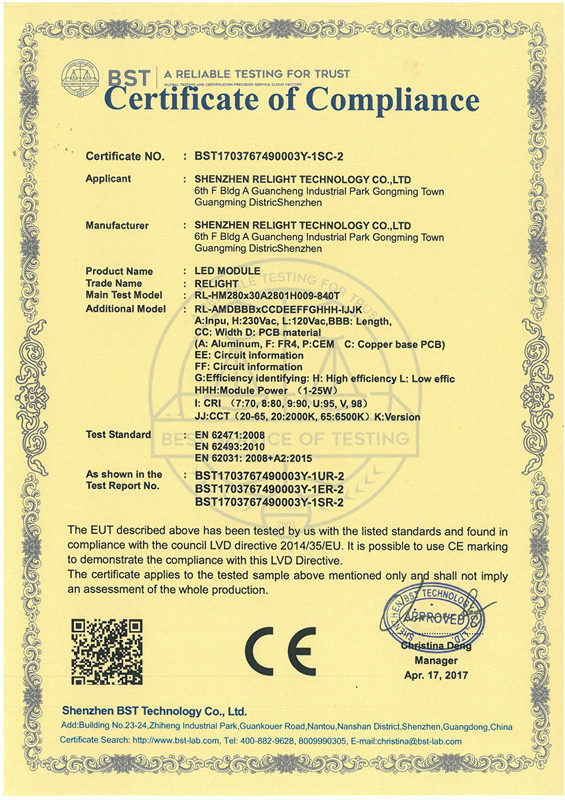 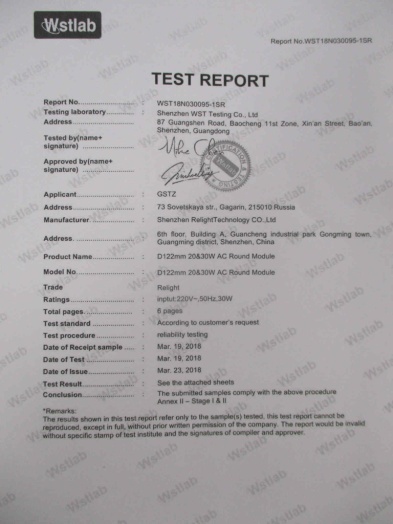 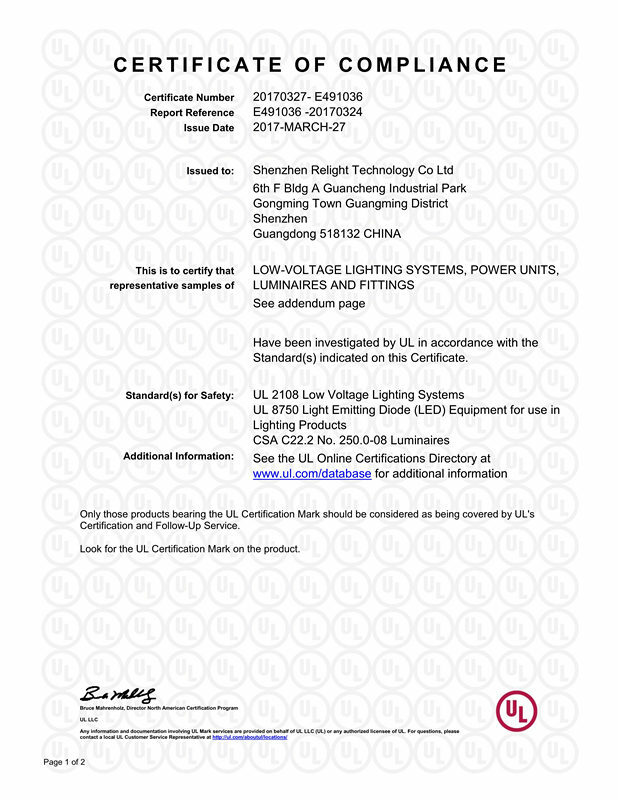 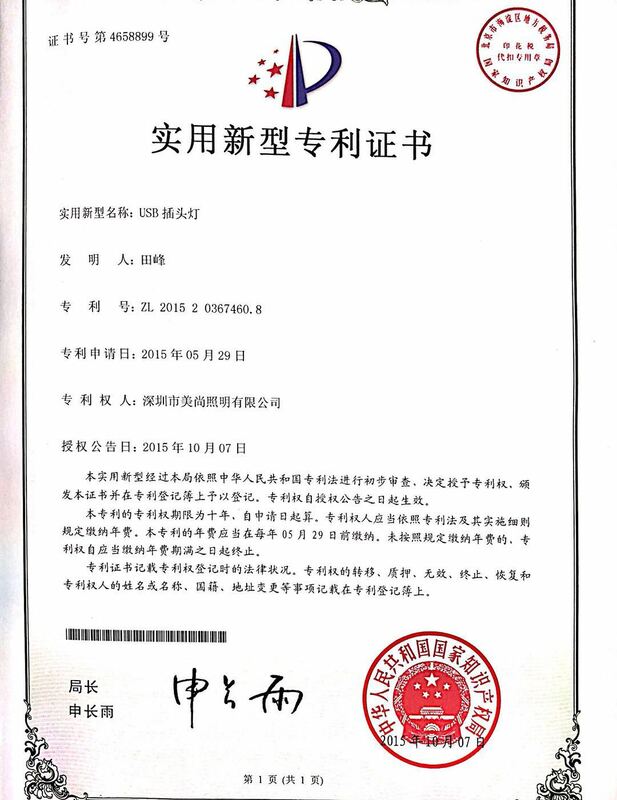 Our standard items are CE, RoHS, UL and FCC listed. 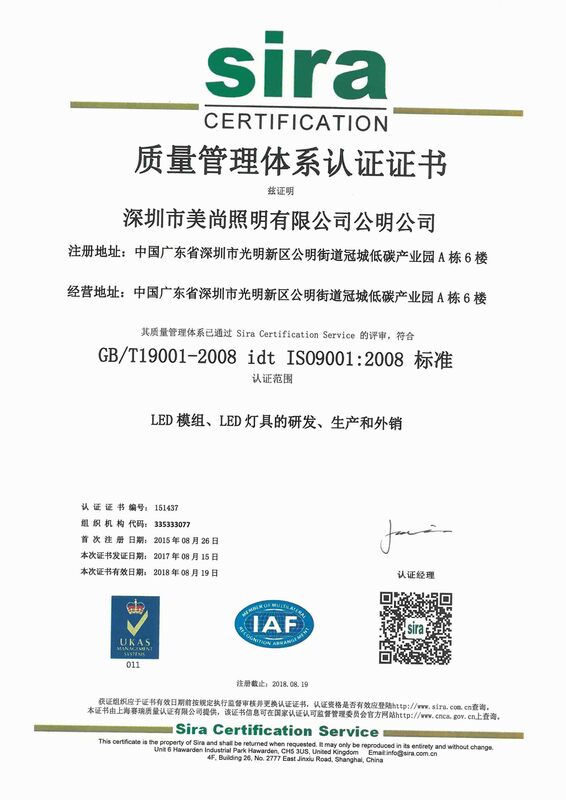 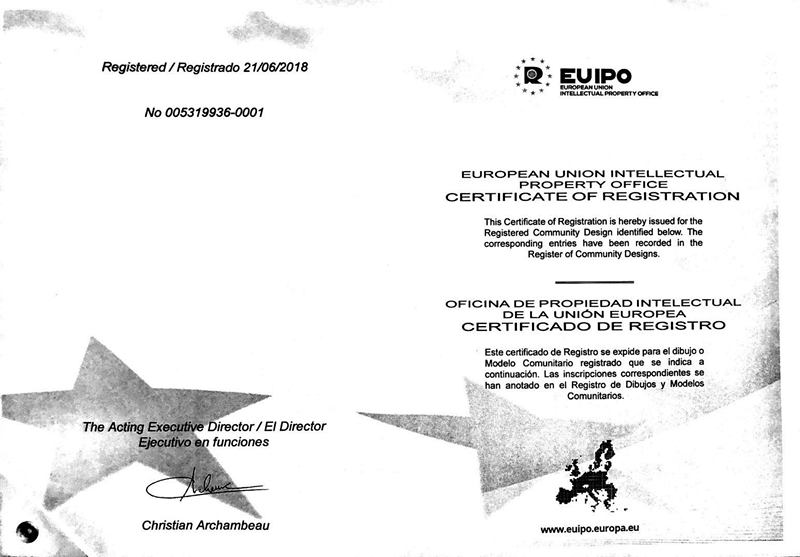 Meanwhile we will also offer support to apply for other certificates as per our client' s request.